1) Do you prefer a real or synthetic tree? In my house, we've always had a synthetic tree because it's less maintenance. We keep it in the attic and bring it down every year. I don't think I'd ever have a real tree - maybe one day - but I'd rather use a synthetic one so that I didn't have to go through the hassle of buying one every year. 2) You're in a coffee shop, it's December, what do you pick? This one is easy! It has to be a hot chocolate. I can't drink tea or coffee so I always have a hot chocolate whenever I'm in Costa or Starbucks. 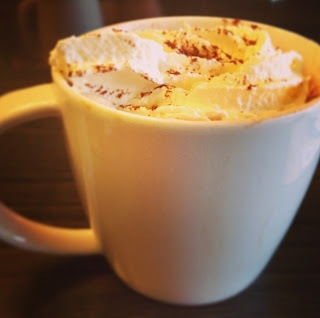 Starbucks are doing their festive menu at the moment, and I bought my first ever Orange Hot Chocolate a couple of weeks ago - it was amazing! I need to try their Salted Caramel one too. Orange Hot Chocolate - yummy! 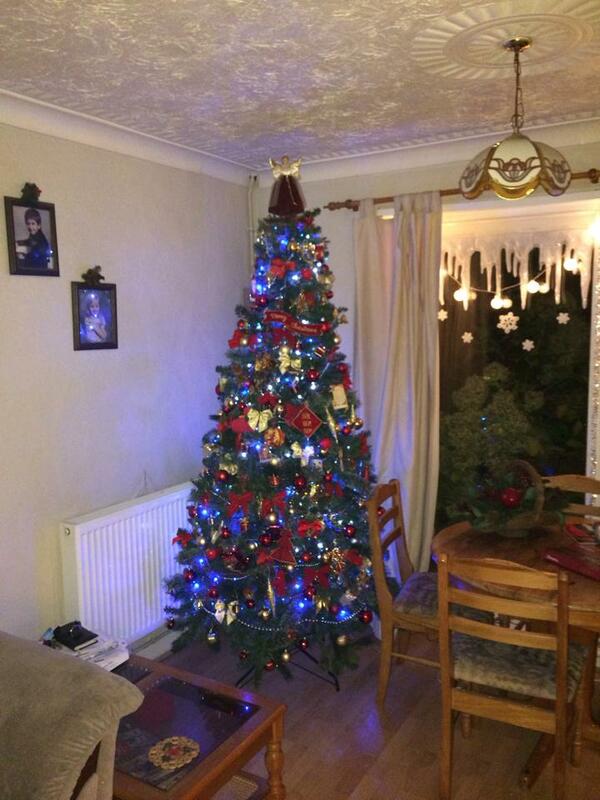 As you can see from the photo, we decorate our tree using a red/gold colour scheme. I think this is what we've always gone for, and we do the same with our fireplace (which you can also see from the other photo). 4) Getting presents or receiving them? I find it stressful buying presents for other people, as I don't know whether they'll like what I've bought. If I'm certain they like it then I'm super excited to see the look on their face when they open it. So I definitely prefer getting presents for others! Although, receiving presents is always good too haha. I don't like mince pies at all! I can't ever remember tasting them but I just know I'm not a huge fan. 6) What's your traditional Christmas lunch? Obviously turkey with the all trimmings! Plus Christmas cake afterwards that a family friend always makes us, and of course some champagne. I'll either be in my pjs, onesie or something equally as comfortable. I wished we dressed up for it but we've never done that. 8) What's your favourite Christmas song? I love The Pogues' Fairytale of New York. It was never my favourite Christmas song until last year. I find Christmas songs quite sad because it's coming up to the end of year. I always get a bit upset at New Years, no idea why! Home Alone! That's probably not the most obvious one but it's been my favourite since I was little and I've even got a Christmas jumper that says "Merry Christmas Ya Filthy Animal". As soon as I wake up I open my presents. Maybe I'll change my routine this year and spread it out across the day but it's too tempting! i love this tag!! i have a synthetic christmas tree too, to be honest, i cant stand the smell of real ones which is odd as so many people do! home alone is such a great classic! 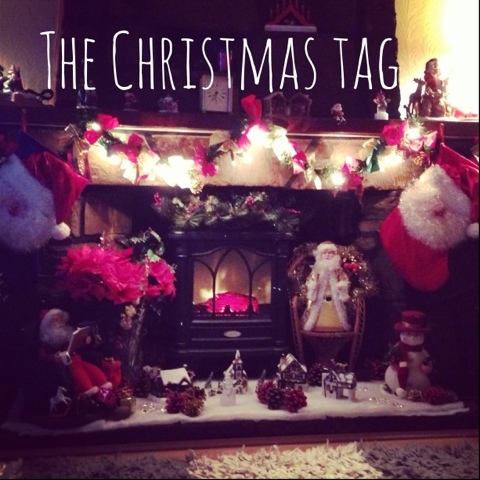 thanks for sharing your link with me in the #bbloggers chat today, lovely blog & followed! would love if you'd stop by my blog love!